Recent acts of re‐publication are the starting point for this symposium, which brings together artists, writers, curators and publishers. Contributions will explore modes of artistic practice such as re‐publication, re‐enactment and the re‐purposing of existing cultural material. Focusing on artists’ uses of writing, photography and the book form both now and historically, the speakers will consider the potential for these ways of working to be radically reflexive about the status of representation itself. Writer Michael Bracewell in conversation with curator Jo Melvin on the legacy of the use of publication as a radical gesture within conceptual practice and how artists have worked with narrative, text and image. Artist Sarah Dobai in conversation with writer Tom McCarthy on re‐enactment, realism and the literary figure of the clerical copyist in relation to McCarthy’s novel Remainder (Metronome Press) and Dobai’s forthcoming book The Overcoat. (Four Corners Books). Writer and curator David Campany will consider the use of rehearsal within photographic practice and filmmaking. He will also be looking at some examples of the photo book.in relation to the themes of the day. The contributions will be followed by a panel discussion with the speakers and Clive Phillpot, curator and author of Booktrek (2013), Richard Embray from Four Corners Books and Arnaud Desjardin from The Everyday Press. This event has programmed by Sarah Dobai and Karen Di Franco in association with CHELSEA Space and supported by Camberwell, Chelsea and Wimbledon (CCW) Graduate School. The symposium accompanies the current exhibition at CHELSEA space, In Peril on the Sea: Sailing Ships, Stormy Seas, curated by Clive Phillpot. (28 January–20 March 2015). Michael Bracewell is the author of six novels and four works of non‐fiction, including Re‐make/Re-model (2006) and England Is Mine (1997). He writes widely on modern and contemporary art, recent publications including Richard Hamilton: Late Works (2012) and Bridget Riley; Paintings and Related Work (2011). Bracewell has also curated numerous exhibitions including The Dark Monarch (Tate St Ives, 2009) Room Divider (Wilkinson Gallery, 2010) and Play What’s Not There (Raven Row, 2014). Bracewell's selected writings on art, The Space Between, was published by Ridinghouse, London in 2012. David Campany is a writer, curator and artist. His writing focuses on photographic art, documentary/photojournalism and the intersections of the still and moving image. Recent books include The Open Road: photographic road trips across America (2014), Walker Evans: the magazine work (2014), Jeff Wall: Picture for Women (2010) and Photography and Cinema (2008). Recent curatorial projects include Lewis Baltz: Common Objects (Le Bal, Paris 2014), Walker Evans: magazine work (Foto Museum Antwerp 2014) and Mark Neville: Deeds Not Words (The Photographers' Gallery, London, 2013). In 2012 he received the ICP Infinity Award for his writings on photography. 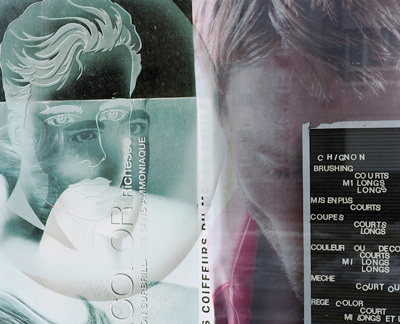 Sarah Dobai is an artist whose work is based in photography, film, live performance and the artist’s book. Her work engages with realism, artifice and illusion in relation to cinematic or pictorial conventions. She has exhibited widely in the UK, Europe and America. Recent exhibitions include City Lives (Bristol Museum and Art Gallery), Twenty Second Hold (Works/ Projects) Study (Spike Island), The London Open (Whitechapel Art Gallery), Theatres of the Real, (FotoMuseum Antwerp) and Darkside II, (FotoMuseum Winterthur). Her commissioned artist book The Overcoat will be published by Four Corners Books in March 2015. Tom McCarthy is an author whose novel Remainder, winner of the Believer Prize 2008, is currently being adapted for film by FILM 4 with artist/director Omer Fast. His novel C was shortlisted for the Booker Prize in 2010. McCarthy is also known for the manifestos and media interventions that he has made as General Secretary of the International Necronautical Society (INS), a semi-fictitious avant‐garde network. A fluent commentator on both written and visual arts, Tom writes for a wide variety of publications including the Independent, London Review of Books and TLS. His new novel Satin Island has just been published with Random House. Jo Melvin is a Curator and Reader in Archives and Special Collections, CCW Graduate School, University of the Arts London. Melvin’s research investigates the interconnections between the archives of artists', critics, museums, galleries and magazines from the 1960s to the present day. Recent projects and publications include When actions speak louder than words: productive exchanges between Peter Townsend and Seth Siegelaub, (Institute nationale De L'historie de l'art de France 2014) and Dennis Oppenheim: Danger and the Domain of Procedural Risk (Lecture at the Henry Moore Institute 2014). She is currently working on the catalogue raisoneé of the sculptor Barry Flanagan. Her exhibition Five Issues of Studio International at Raven Row Gallery, London opens 26 February and runs until 15 May 2015.